1. Can replace each part of the mask separately. 2. Great selection of colored thermal lenses. 3. Small profile with a close, comfortable fit. 1. Easily scratched lens, requires extra care to last long. 2. Strap loses elasticity quicker than the average mask. 3. The goggle foam also has a fairly short life span. G.I. Sports has quickly become a company with a great reputation, quality products, and multiple podium wins. Perhaps the most interesting thing about G.I. 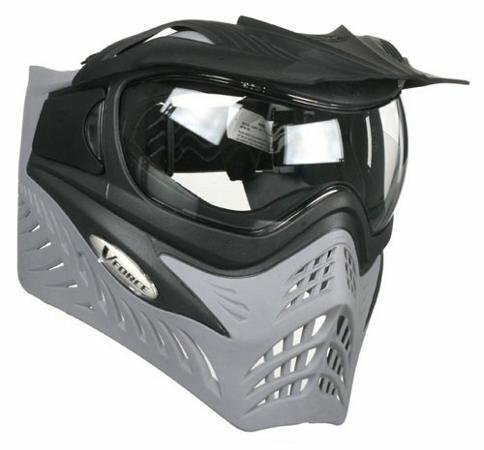 Sports is their ability to buy out, or partner with smaller companies like PRO-CAPS, V-FORCE, or Tippmann, and still be able to produce the same amazing gear that we have all come to know and love, including the V-FORCE Grillz paintball mask. 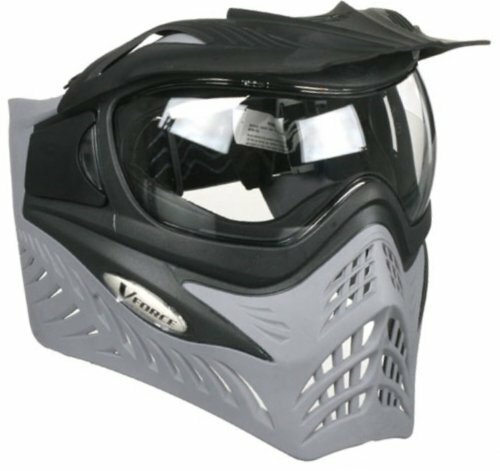 with a quick change lens, small profile, and lower price point, the Grillz have become a top contending paintball mask, worn by 5 pro teams, including two World Cup champions. And while it still has it\’s fair share of flaws, the VFORCE Grillz are easily one of the best options to decide from when choosing a new mask. The Good: The V-FORCE Grillz have the ability to be taken apart in just under a minute. In 60 seconds, you can replace your foam padding, your lens, your strap, and even the foam on your ears. Speaking of your lens, the Grillz have a great selection of aftermarket options, including smoke, mirrored, tented, reflective, “ninja” black, and other variants to give your mask a personal look, and protect your eyes at the same time. Finally, the Grillz low profile is a great fit for any size player in any position. You won’t have any annoying head shots because of a bulky shaped mask, because yours will be sitting comfortably and almost perfectly shaped on your head, the way it should be. The Bad: While the Grillz have a fairly easy system for removing and replacing your lens, you better get used to doing it often. When used on a regular basis, and depending how aggressive the owner is, the lens tends to have a shorter lifespan than other high end masks. Easily scratching and not resisting well to dirt and sand, it might be a good idea to keep an extra pair handy in your gear bag. And as far as lifespan goes, the strap itself may need replacing as well. All straps wear out, but the V-FORCE straps have a tendency of losing their elasticity over time. Though it isn’t anything to worry about immediately, it is something to be prepared for when you start wondering why you\’re having to tighten your mask more than usual. And last but not least, compared to the masks it tries to compete with, the foam life is significantly shorter than expected. Since the average mask has a 2 year life span, it would be expected that the foam for any ears and face would last that long. The Grillz foam falls just short of that, and while you may never have to change your foam if you plan on trading up in a year or so, it will be needed if this will be a long-term investment for you. Overall While the Grillz may lack in longevity of its pieces, it’s low profile, and ease of use, and great aftermarket options can more than make up for that. Any replacement pieces you need are relatively inexpensive, as well as the mask itself, beating out its competition at a starting price of $89.95. If your willing to accept that anything in paintball will eventually have to be replaced, just like the parts on this mask, then you should feel comfortable choosing this option to protect you on the field. Overall, we give the VFORCE Grillz a solid 4 out of 5. Copyright © 2019 Paintball Gear Reviews - .